Today’s Picture in the Park is from Animal Kingdom, specifically, the Tree of Life, the structure that is the focal point of the park. For you Bugs Life fans, the Tree of Life is the home for that show — as for us, we’ll skip it, it’s not fun for us! 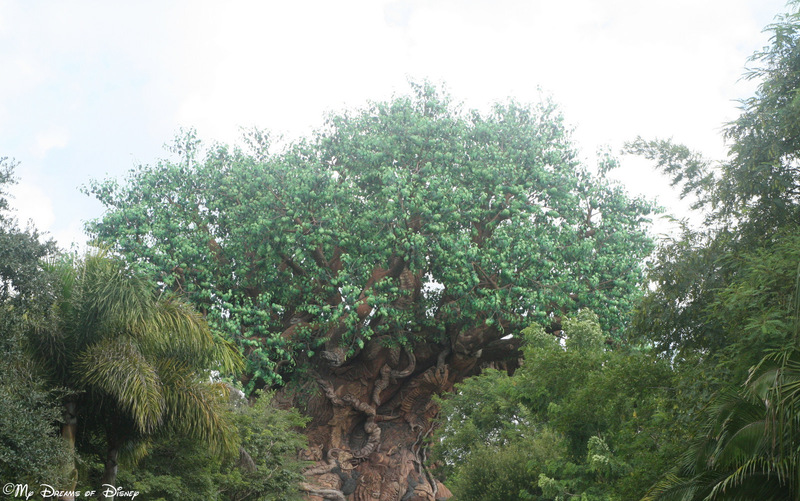 Did you know that ten artists and three Imagineers worked on the Tree of Life for 18 months? That there are 325 carvings around the tree? That the structure is 145 feet high, and 50 feet wide? Walt Disney World Signature Structures! Animal Kingdom Monday’s — Drenched! Sorcerer Mickey Hat — 9 Days Til Disney!